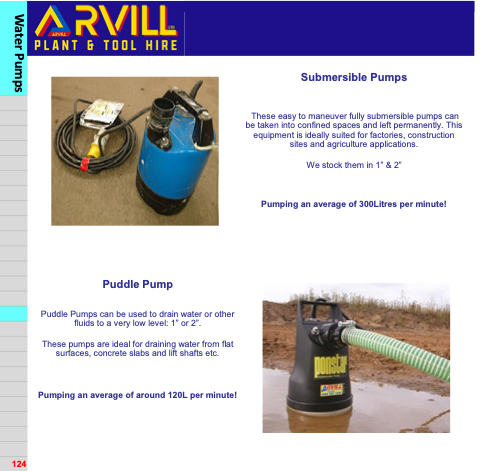 Puddle Pumps can be used to drain water or other fluids to a very low level: 1” or 2”. These pumps are ideal for draining water from flat surfaces, concrete slabs and lift shafts etc. Pumping an average of around 120L per minute! These easy to maneuver fully submersible pumps can be taken into confined spaces and left permanently. This equipment is ideally suited for factories, construction sites and agriculture applications. Pumping an average of 300Litres per minute!